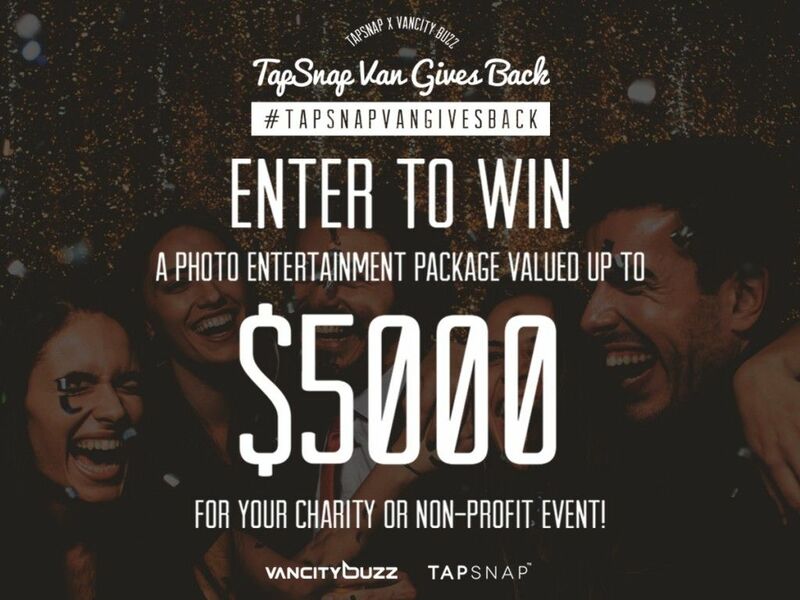 TapSnap Van Gives Back with a Contest for Charities and Non-Profit Organizations! We’re so excited to announce the launch of TapSnap Van Gives Back! If your charity or non-profit organization will be hosting an event in Vancouver, North Vancouver, West Vancouver, Whistler, or Burnaby, BC, enter for a chance to win a Photo Entertainment Package, valued up to $5000! The entry period closes on Monday, May 9th at 11:59 PM PST, so don’t wait to enter your charity or non-profit. Be sure to spread the word to get your supporters to vote for you too!